Experience the finer things At Angela Neel Bed & Bath, we represent the finest bed linens in the world. Choose from exclusive designer bedding manufacturers that specialize in Egyptian cotton loomed by artisans in Italy and Portugal. 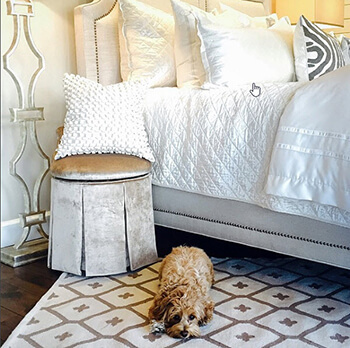 Let us help you create a bedroom you will love with our designer bedding collections! We spend a third of our lives sleeping, which is why the bedroom is one of the most important spaces in any home. Quality bedding that promotes a good night’s sleep is essential to your health and happiness. Our designer bedding collection is the finest in the world as each manufacturer has proven to be the top in their industry. Please visit our Bed & Bath showroom or contact us with any questions you have about your Designer Bedding needs.